The months of November and December are some of the most festive times of the year at Restaurant Kronborg. 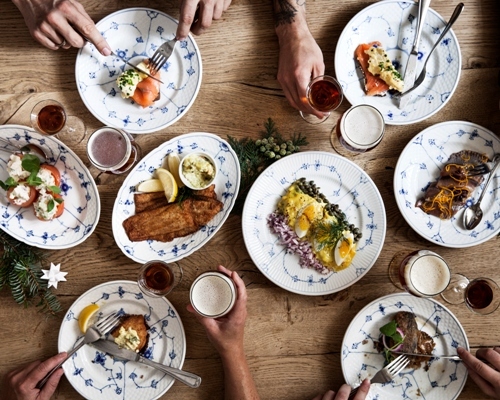 We serve a home-made, traditional Danish Christmas Lunch (“julefrokost”) – “family style” at the table. We serve Christmas Lunch from Thursday 8 November to Sunday 23 December and Thursday 27 to Sunday 30 December 2018. Our opening hours are: Monday to Saturday 11-23 and Sunday 11-18. 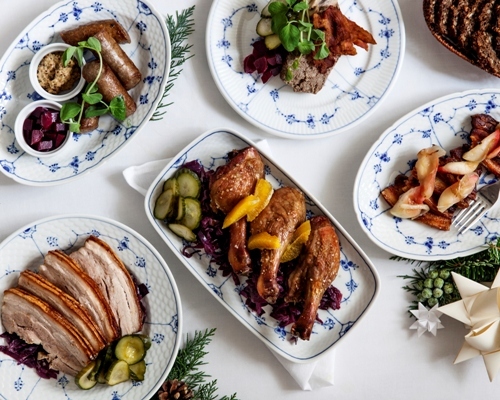 We invite you to send us an email at reservation@restaurantkronborg.dk if you are interested in enjoying a classic Danish Christmas Lunch in the above period. We offer a wide selection in well-brewed beers and aromatic aquavits to accompany the Christmas Lunch. Throughout the years our Christmas Lunch menu has been enjoyed (and recommended) by Author & Reviewer Martin Kongstad in “Bearnaise is the King of the Animals” on Radio 24/syv, the savvy foodies from Copenhagen Food, Copenhagen Expert Laura from TheCopenhagenTales, the passionate foodie, Mette Juulsgaard, the selfproclaimed bon vivant, Martin Villumsen, and the Copenhagen conaisseur, Camilla Stemann Jensen. We also invite you to read, what Food Journalist Mikkel Bækgaard and Food Stylist/bon vivant Thomas Alcayaga wrote about our Christmas lunch, as well as why the Copenhagen Guide, AOK, recommends us in their guide “The 6 good places to eat Christmas lunch” . (you will need Google translate, though, as all the posts are in Danish… ). Please note that on the below dates we exclusively serve “smørrebrød” (open sandwiches) from the menu from 11.00 to 14.00 and the Christmas Lunch menu (i.e., no “smørrebrød”) from 14.15 to 18.00 and 18.30 to closing time (around 23.00). 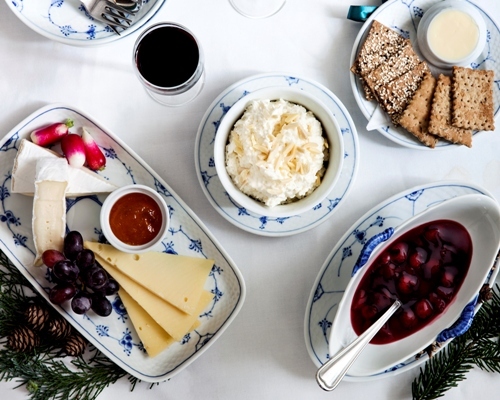 We invite you to send us an e-mail at reservation@restaurantkronborg.dk if you are interested in enjoying a classic Danish Christmas Lunch in the above period. Please note that we are only able to make one collective bill per party in the Christmas season. If a party is more than ten minutes late for their booking, and we have not been informed about the delay, we take the liberty of offering the table to another party. Please note that we advise against bringing children (under the age of 14) for the Christmas Parties as the meal is quite lenghty and the ambience can become quite loud and festive, which – in our experience – often make children feel uncomfortable causing negative reactions. We reserve the right to changes in the above.